Only two tracks, but a total of almost thirty four minutes of music. The first track, Kisses, clocks in at 9:25 and the second super-long track will occupy over 23 minutes of your own personal history. The music is basic techno, and sets a nice mood to back your daily tasks around the house or as a soundtrack to your party. 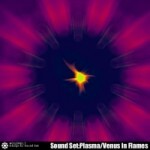 Great for listening to in any situation. 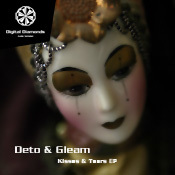 Deto & Gleam – Kisses & Tears EP.